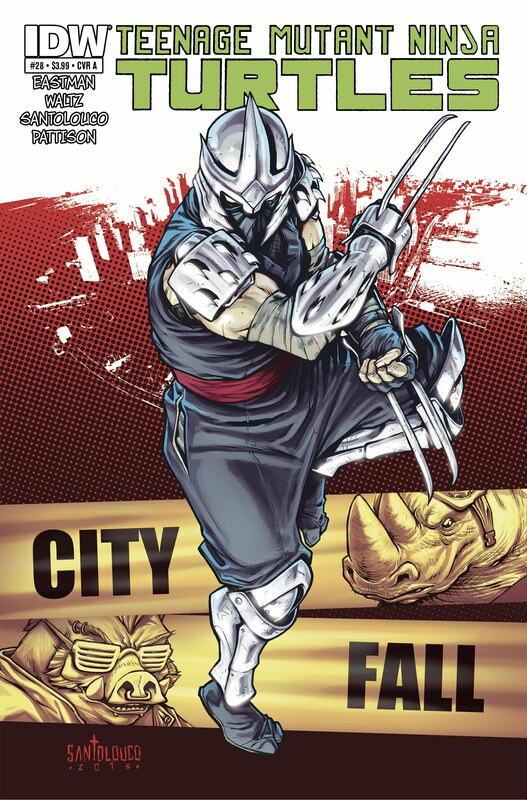 “City Fall” features factions, but never gets too entangled in gang wars: Shredder and Karai’s Foot, the Savate, the Purple Dragons, our reptilian heroes, and even a brief alliance between Splinter and Old Hob. 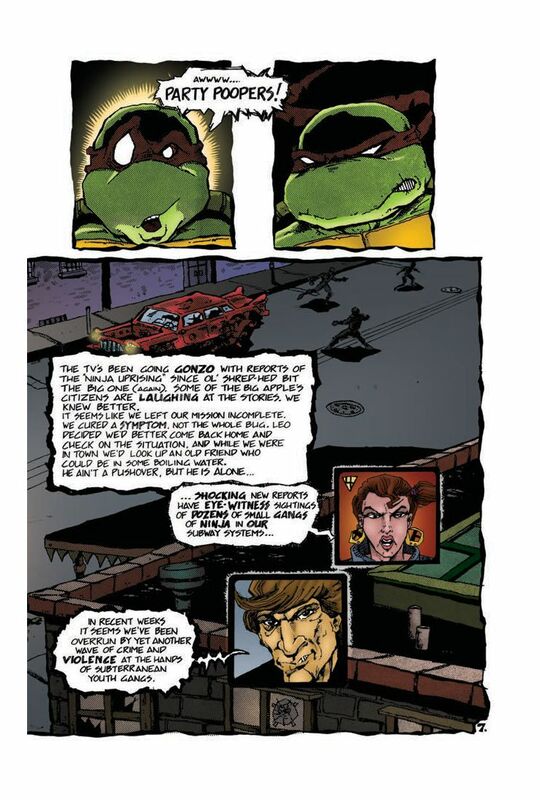 Ah, New York, that solemn battlefield bringing a cat and mouse together. 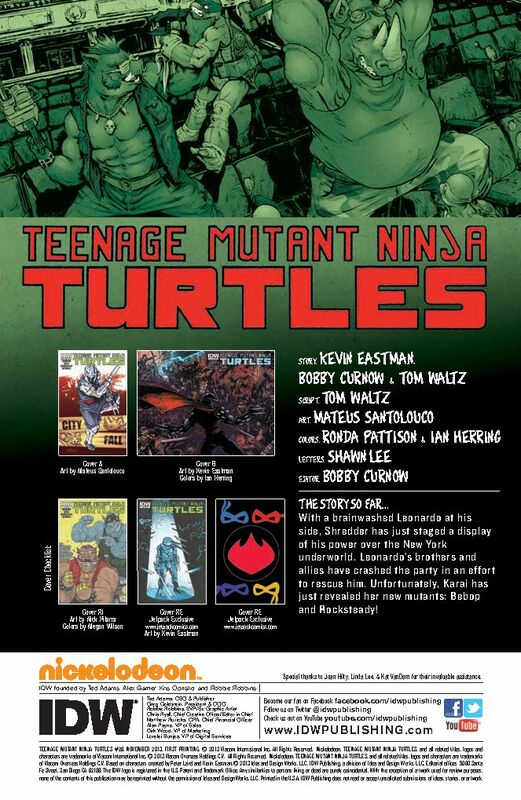 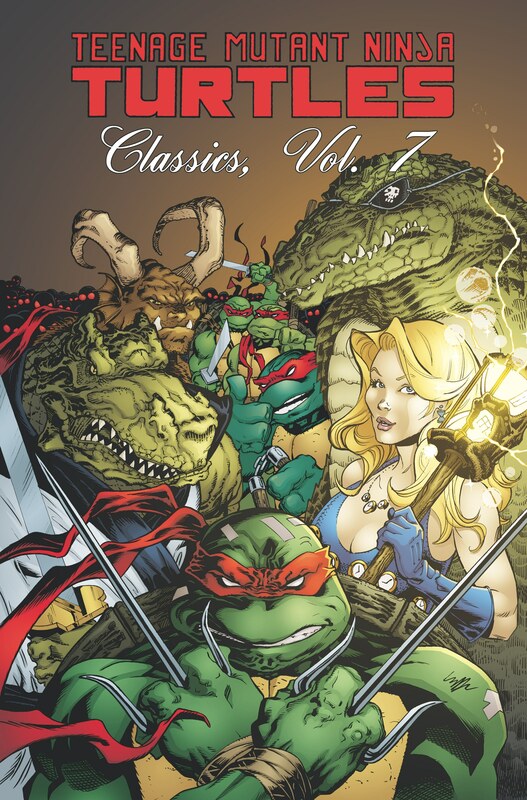 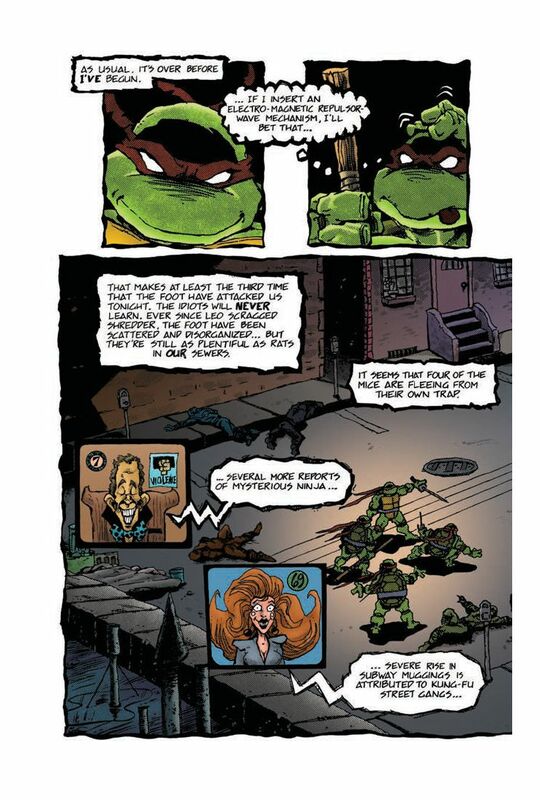 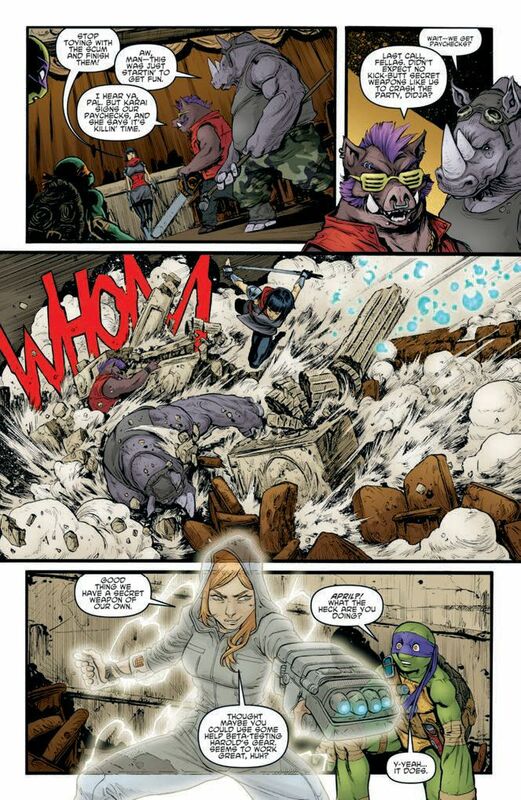 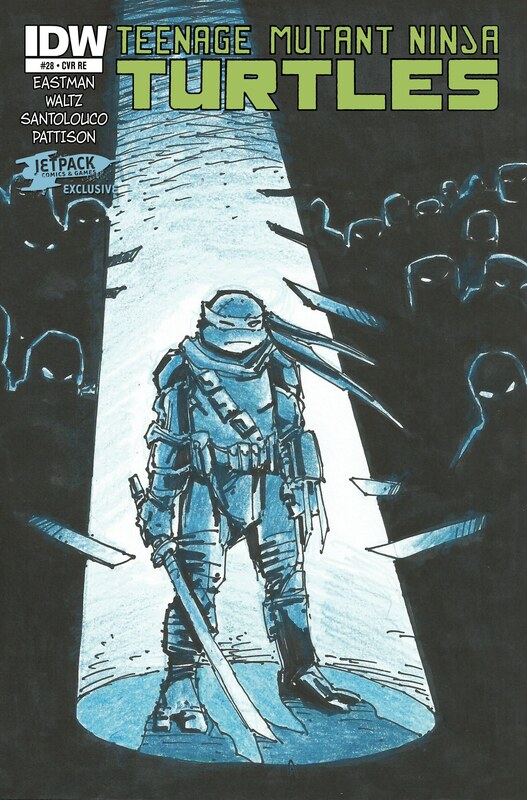 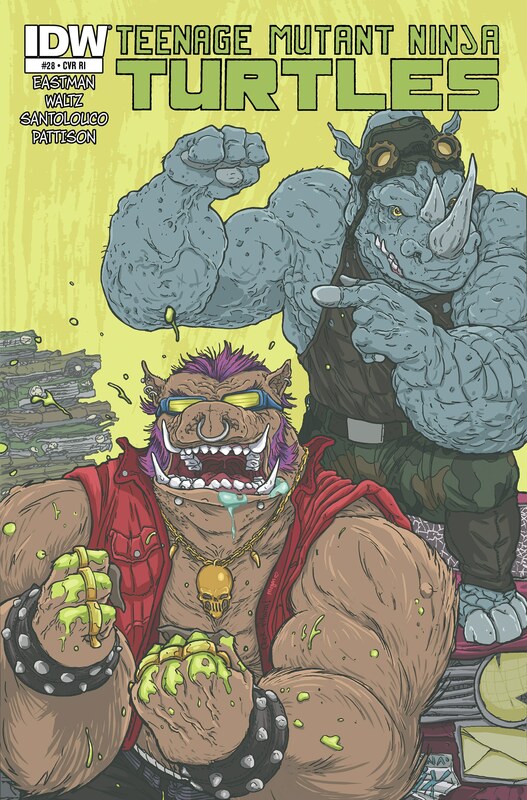 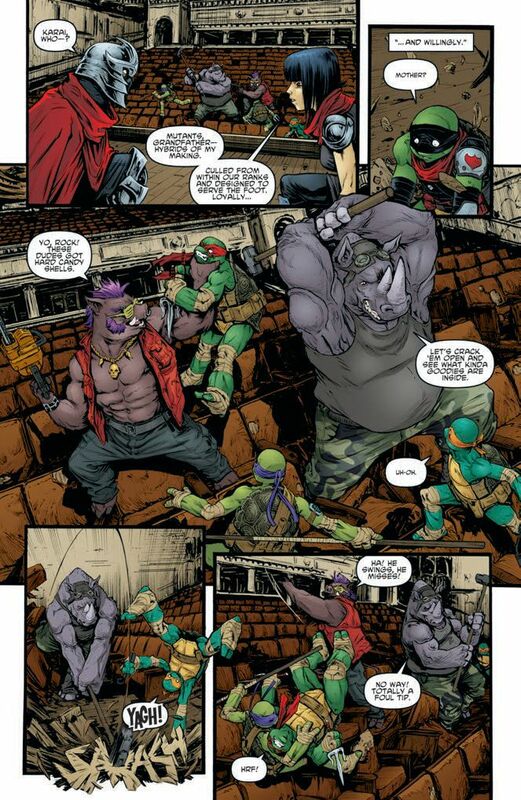 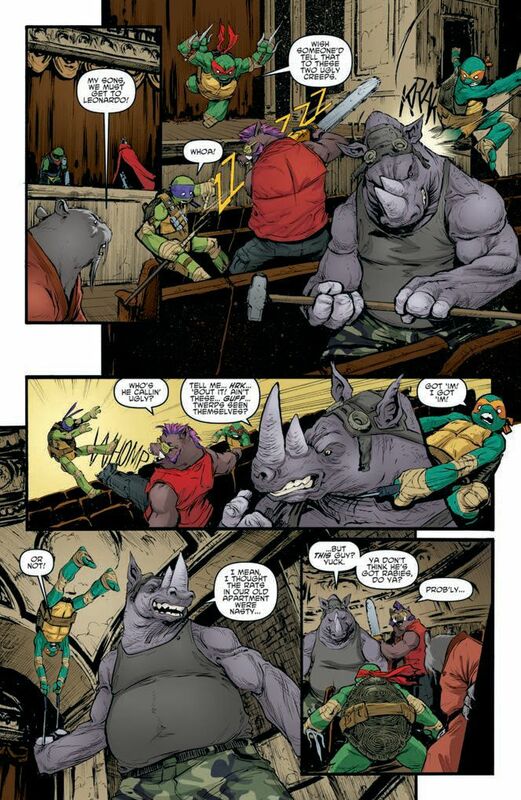 By issue 28, Bebop and Rocksteady romp, stomp, and trash talk at the Turtles. 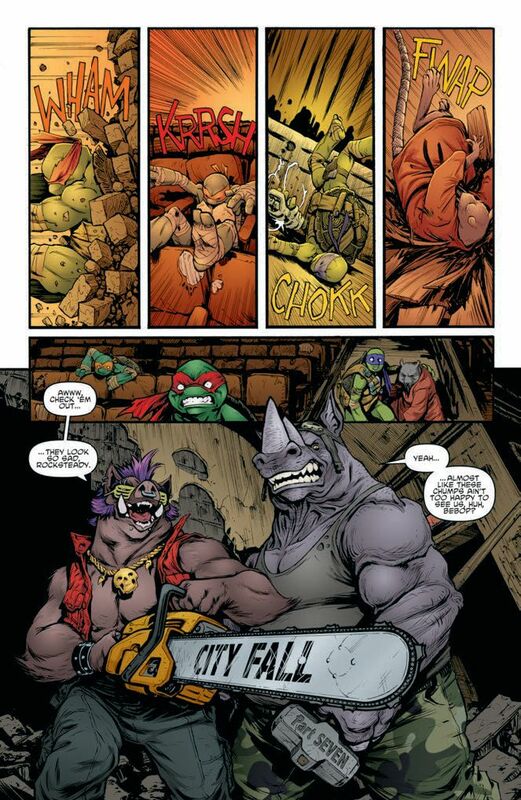 The City Fall finale is one big, action-packed climax where artist Santolouco shows as much impact as Shredder’s ratty meeting place could hold. 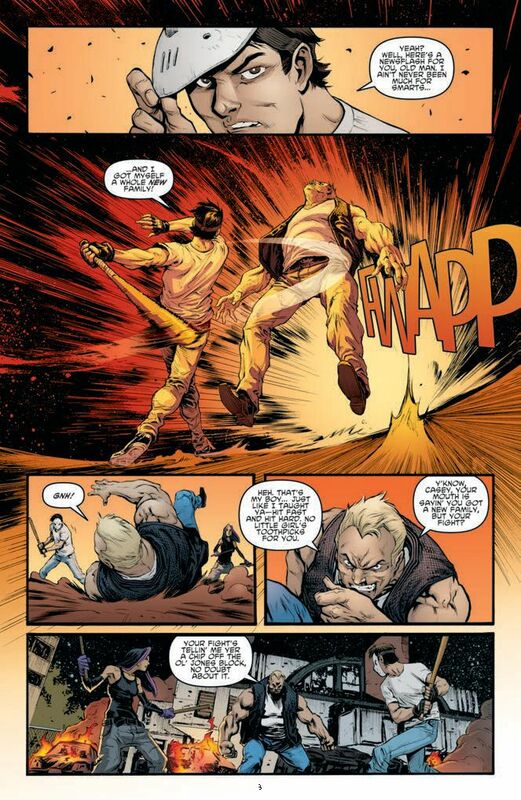 I’m pleased that no main character was sidelined from the action. 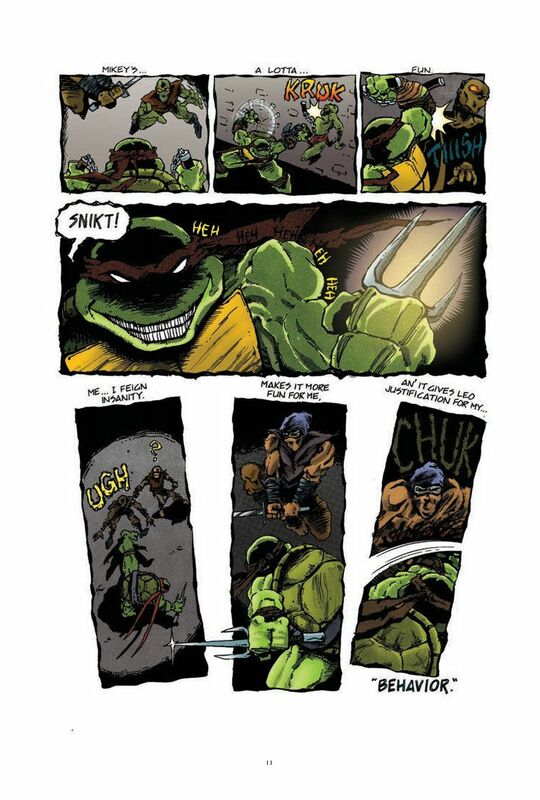 In the end, the Turtles may have more emotional scars than physical ones. 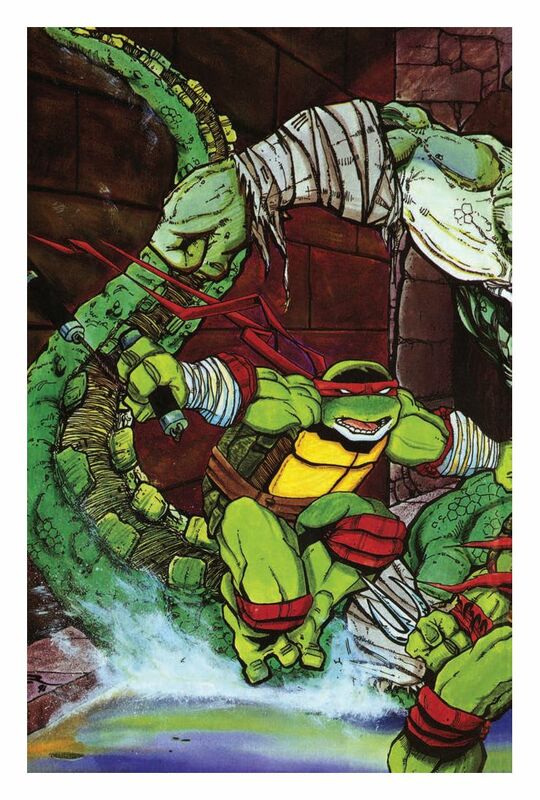 I like Santoluoco’s art overall, especially the constantly pissed-off expression Raphael has. 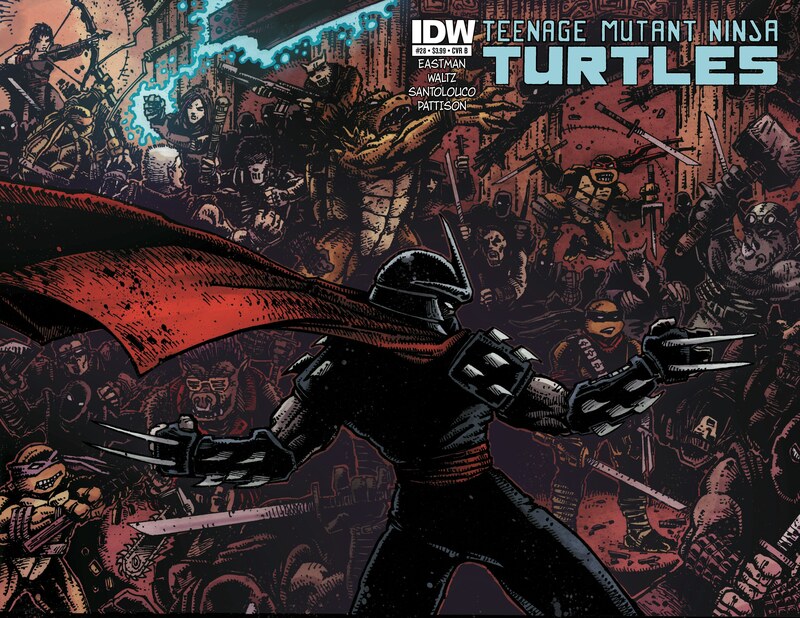 Other being a bit baffed at Shredder’s ultimate decision over his granddaughter, Karai, the story delivers the action while not overlooking the meaning of family. 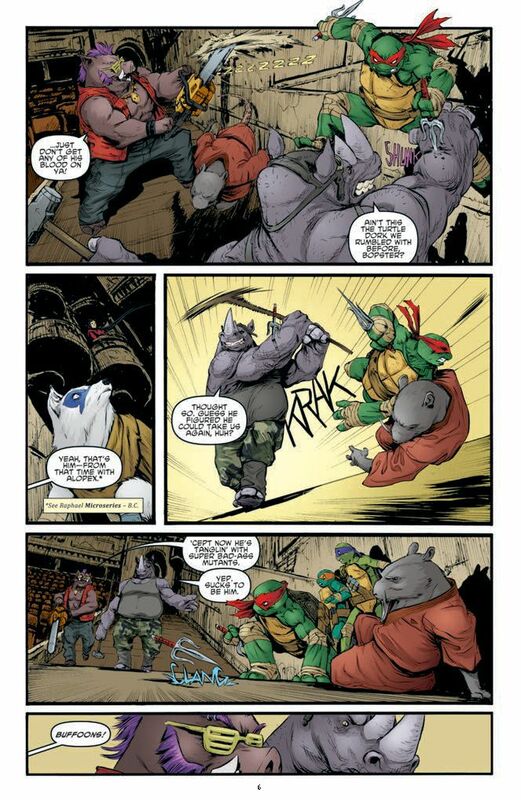 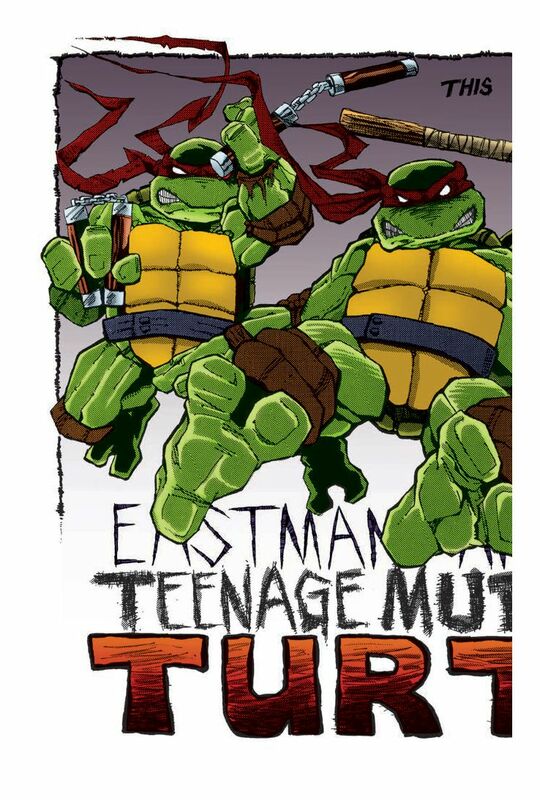 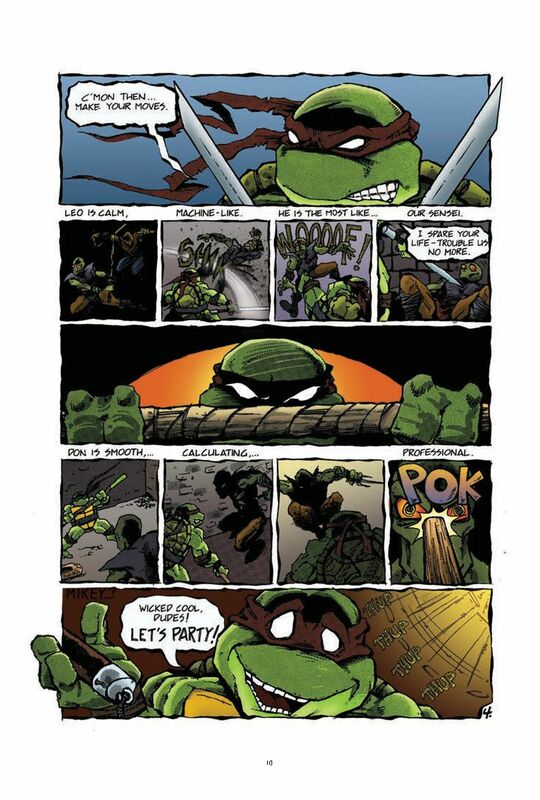 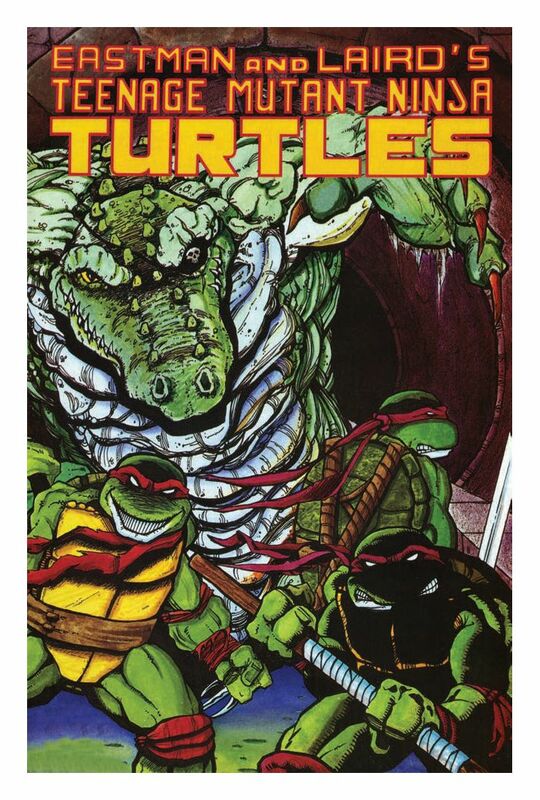 Teenage Mutant Ninja Turtles #28 scripted by Tom Waltz from a story by Kevin Eastman, Bobby Curnow, & Waltz. 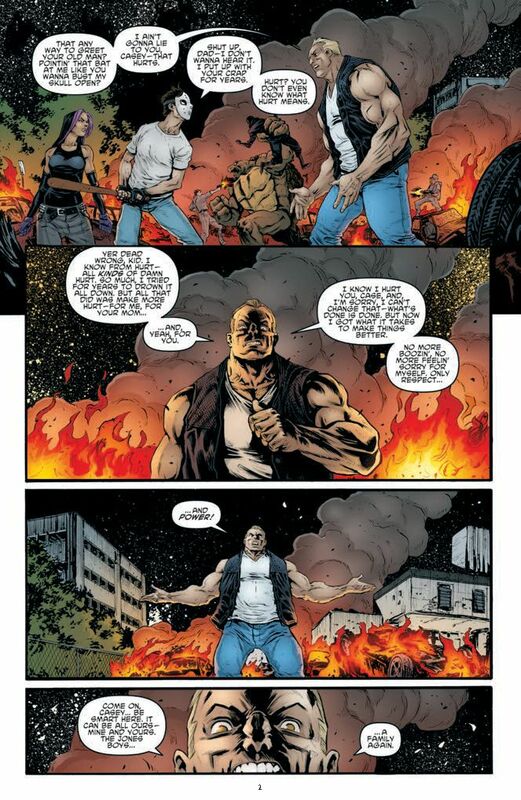 Issue drawn by Mateus Santolouco and colored by Ronda Pattison and Ian Herring. 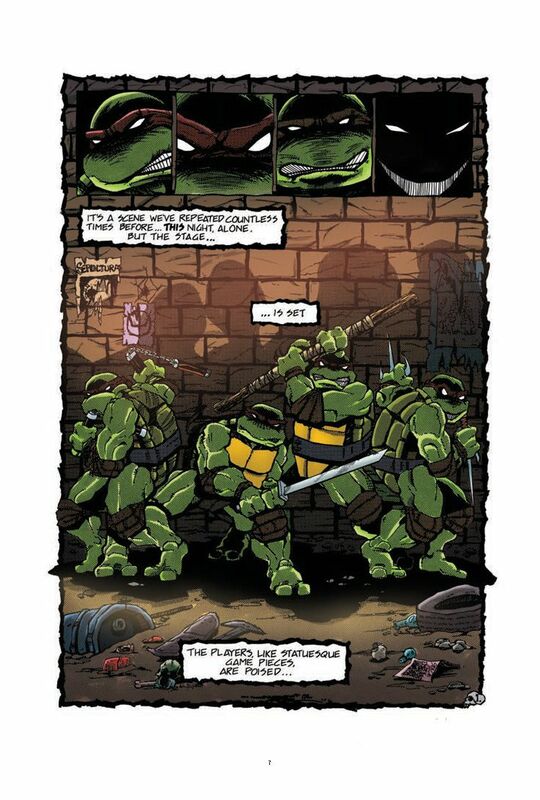 23 story pages. 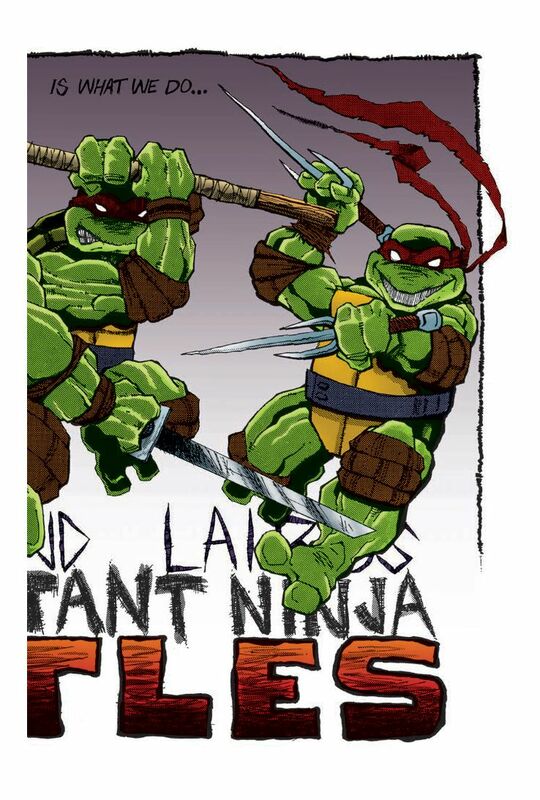 399 cents. Thanks to IDW for supplying copies for review.